It’s no secret that mental illnesses like schizophrenia, major depression, and anorexia nervosa (AN) have far-reaching effects in our society. Less well-known, however, is how and why these disorders develop. Even our best scientists and researchers are only beginning to tear down the walls of the labyrinth that is the human brain. Recently, the largest genetics study of its kind has revealed interesting links among some of these illnesses. Responsible for the findings is the Psychiatric GWAS Consortium, or PGC. What exactly is the PGC? And what’s a GWAS? Let’s start with the latter of the two. “GWAS” stands for Genome-Wide Association Study. 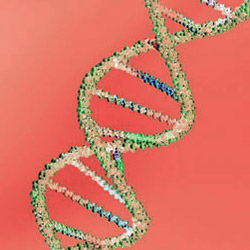 In a nutshell, it’s a study that compares the genomes of people with and without a disease. What the researchers are looking for are consistent differences in the DNA that occur with that state. For example, if you take DNA from people from all over the world, you can tell by the DNA’s variations what geographic region they come from. It’s not perfect, but it works pretty well. One of their downsides is that a GWAS requires large sample sizes to overcome the randomness of hunting through the genome. Circa 2005, the genetics field became aware that we had been way off the mark in terms of how large we thought sample sizes for genetic studies needed to be. Originally, we had thought hundreds of individuals were enough. Then we thought thousands, but we now know that tens of thousands of individuals are required. This changed the playing field. Single labs could no longer pull together sample sizes of this magnitude, so widespread collaboration was necessary and the PGC was born. The PGC comprises researchers from all over the world – over 375 researchers from 80 institutions in 25 countries at last count. The PGC is coordinated by a committee chaired by Prof. Patrick Sullivan of the UNC Departments of Genetics and Psychiatry. The PGC’s mission is to provide analyses for the large, combined sample sets under their care with the ultimate goal of pointing out where research should focus next. The PGC is also deeply devoted to rapid progress and openness in how science is done. For some time, researchers, along with the general population, have come to suspect connections between disorders. Sometimes family members had different profiles—for example both schizophrenia and bipolar disorder might run in the family. Sometimes the same person might receive different diagnosis at different points in his or her life—for example a child with ADHD in childhood, might be diagnosed with bipolar disorder as a young adult. All the while, treatment teams and researchers were trying to figure out which disorder came first, or which caused the other. While these comorbidities weren’t universal, they were common enough to warrant a closer look. The PGC, with its access to large groups of samples, was initially able to bring under investigation schizophrenia, bipolar disorder, autism, ADHD, and major depression. In terms of overlap, schizophrenia and bipolar had the most in common. The pairs of bipolar disorder and depression and ADHD and depression shared a lesser degree of genetic variation. Schizophrenia and autism showed the least in common but were not entirely independent. So, why does this matter? Because the boundaries between disorders (if any really exist) have been poorly resolved to date. These results, if replicated, could help clear up some confusion and provide much needed definition to the diagnoses of these disorders. The PGC has expanded and new groups include anorexia nervosa (Co-Chairs, Cynthia Bulik, UNC, and Eleftheria Zeggini, Sanger Institute, UK), obsessive-compulsive disorder, and post-traumatic stress disorder. UNC has taken the lead in two international genetics consortia for anorexia nervosa the Genetics Consortium for Anorexia Nervosa (GCAN) and the Anorexia Nervosa Genetics Initiative (ANGI), which is currently ongoing. These studies will not only allow us to identify genes that influence risk for anorexia nervosa, but will also afford the types of cross disorder studies that allowed the PGC to identify overlap between schizophrenia and bipolar disorder. Ultimately, identification of these genes could lead to the development of better treatments, including new medications, by providing new targets for therapy.